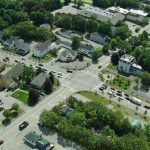 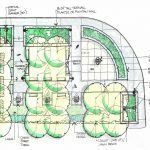 This project encompassed planning and executing design workshops through construction documents for the City of Ellsworth as the City worked to tame the heavily traveled corridor to Downeast Maine and Acadia. 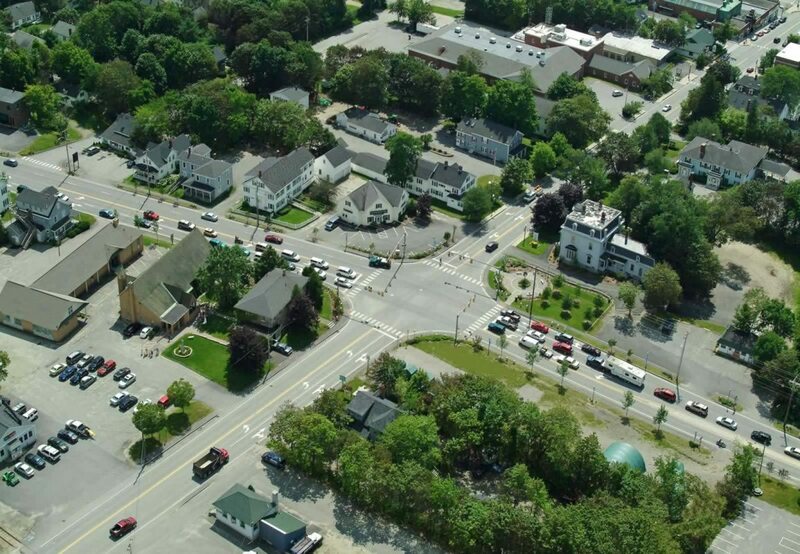 As High Street became the focus of a MDOT widening project, the City of Ellsworth engaged WBRC Architects Engineers to provide a vision, master plan, and guidelines for developing a pedestrian-friendly corridor. 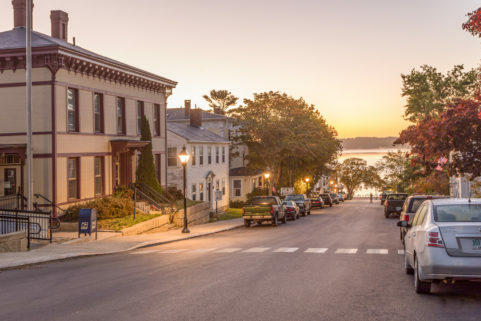 Recalling the history and character of traditional Ellsworth while promoting the Street as commercial transition district was key to this project. 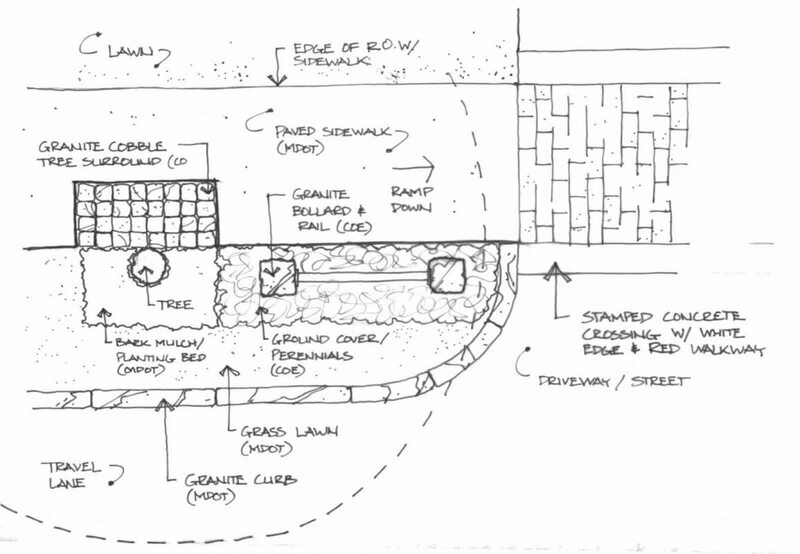 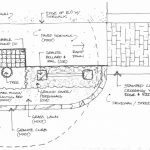 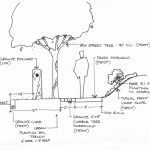 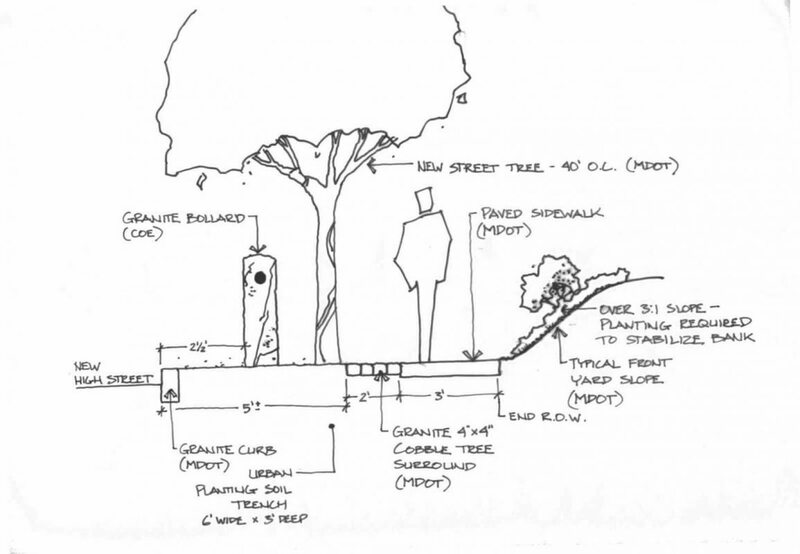 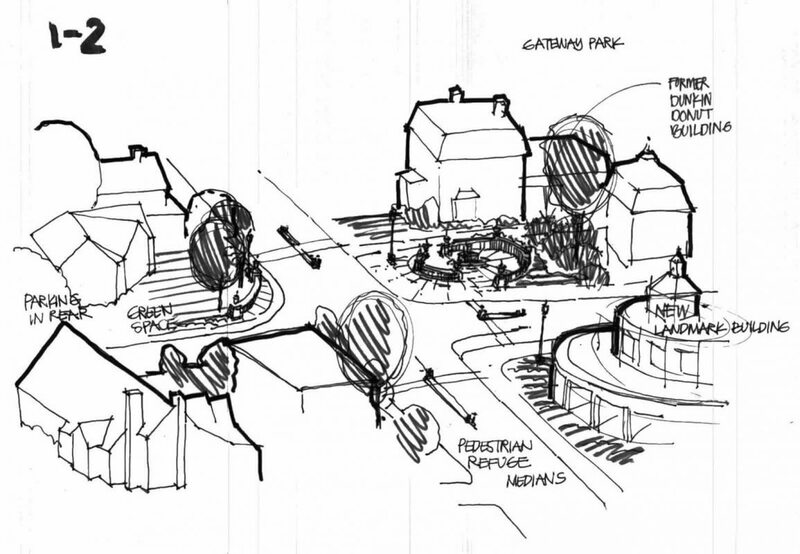 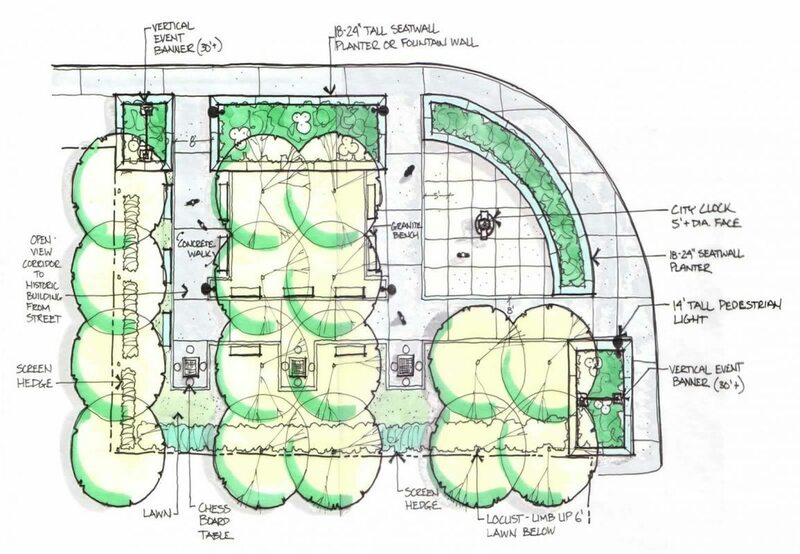 After a public charrette workshop, WBRC created vignettes identifying specific elements such as stamped crossings, bollards and rails, cobble tree surrounds, and historical grade change devices. 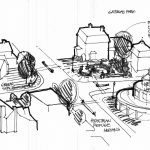 Additionally, four case studies and a master plan were developed to foster interest and to show how guidelines and concepts could be successfully incorporated along High Street. 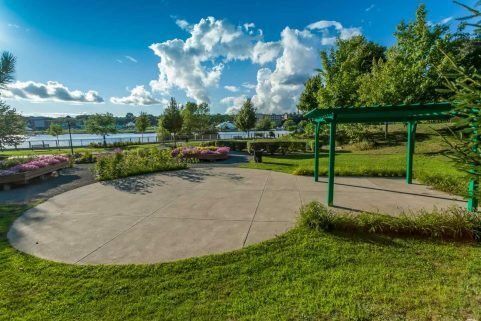 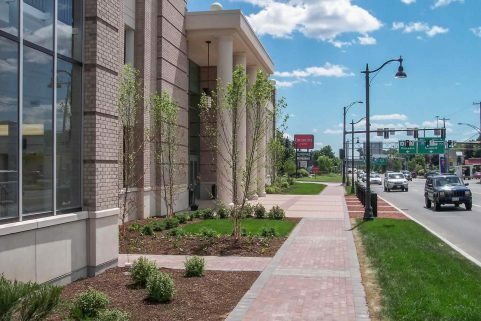 A personalized identity to the city, previously known only as the gateway to Acadia, was created in a new gateway park located at the intersections of High and Main Streets.